Many of us use a laptop for both portable and stationary computing. When we're at a desk, we tend to want more than a laptop offers naturally. For example, you may want extra monitors, or maybe just a larger screen. You may want a better keyboard, and almost certainly want a real mouse. All of that makes a laptop docking station appealing, but there is a problem with docks: all of the cables on the desk running in and out of the dock. Humanscale has a simple yet elegant solution to the problem with the M/Connect docking station. 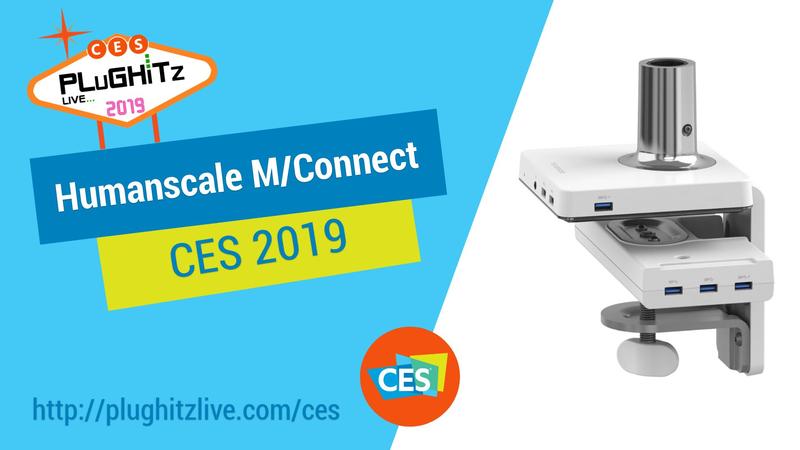 In addition to the clever split design, the M/Connect is designed to be paired with one of the company's monitor stands. In fact, it can be used with any of the company's monitor arms, whether it be designed for a single screen or a full 6 screen array. The post of the monitor arm runs through the center of the M/Connect, keeping the dock snugly in place and adding extra stability to the arm's connection. It is a win-win situation.